The most common use of tobacco is in cigarette products which include hundreds of additives that modify the properties of tobacco and the experience of smoking tobacco. In recent decades, cigarette manufacturers have progressively been adding more additives to their products, including flavors, preservatives and agents to retain moisture, as well as a large range of other chemicals. The number of additives contained in cigarettes is so large that measuring the effects of individual additives is cost prohibitive and difficult, and most of the research conducted is confined to the tobacco industry. Tobacco smoking is extremely harmful to your well-being and some additives contained in tobacco products may make smoking more attractive. 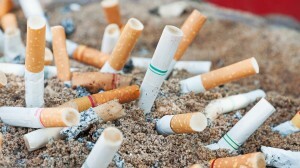 This has prompted government directives to regulate tobacco products in order to protect the health of the public and may include the possibility of banning the use of certain additives. In April 1994 the Department of Health and Human Services in the U.S. documented a list of 599 additives found to be present in cigarette products. This list applies only to cigarettes manufactured in the U.S. and intended for distribution within America. A significant issue regarding chemical compounds in tobacco products is that while most of them have been approved for use as additives to food, their effects were not tested by burning. It is well known that chemicals subjected to high heat and burning changes their properties and when a cigarette is burned more than 4,000 chemical compounds are created, 69 of which have been found to be carcinogenic. A burning cigarette emits toxic gases in the smoke, including carbon monoxide, ammonia, hydrogen cyanide and nitrogen oxides. The characteristics of each cigarette brand differ depending on the type of blend used, the process of curing, and the additives used that affect the different substances contained in the smoke, the size of the smoke particles, and the burning characteristics. As cigarette manufacturers compete for market share, more and more additives are introduced and some cigarette brands may contain up to 10% additives by weight. Additives also affect characteristics such as odor, flavor, harshness and color. The main additives in tobacco products are sugars, moisturizing agents and preservatives. Other additives include lactic acid and numerous flavorings such as menthol, cocoa and licorice. – Making the inhalation of tobacco smoke easier. – Altering properties, such as smoke particle size. While additives in tobacco products on their own have not been linked to significant binging, they may influence cravings. The most evidence for this is found in sugars, which are added to most cigarettes, and some sugars are also naturally present in the leaves of the tobacco plant. When sugars are burnt they produce chemicals which are thought to increase the level of a class of neurotransmitter by inhibiting the enzymes that naturally clears aldehyde from the system. Additives are used to make smoke look more attractive to the smoker as well as to others. They reduce the lingering odor of smoke and mask the smell. Some additives make it easier for first time users to start smoking by making the smoke less harsh on the throat, cooler and sweeter. Additives can alter the harshness of smoke by changing the ratio of tar and by adding flavors, giving the impression of a smoother smoke. Menthol reduces harshness and encourages deeper inhalation. It is difficult to identify the role that each individual substance in additives may have in enhancing the attractiveness of cigarettes and available data does not allow any definitive conclusions to be made on the overall effect of additives. Manufacturers use flavor enhancements to target young people who are more likely to smoke flavored cigarettes. In the U.K., which is dominated by domestic cigarette brands, products marketed as being free of additives are becoming more popular and the consumer should always stay vigilant in their research as to what they choose to ingest. Last updated by Mark Barrus at September 25, 2017 .